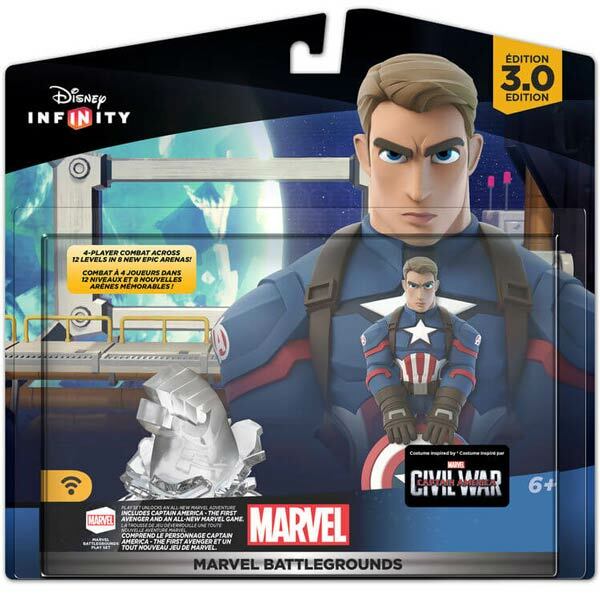 It’s no surprise that Disney had the highest selling toys-to-life game out there with Disney Infinity. Their ever growing properties with Star Wars and Marvel only invite new possibilities and they’re only continuing the success with new Play Sets (expansions). 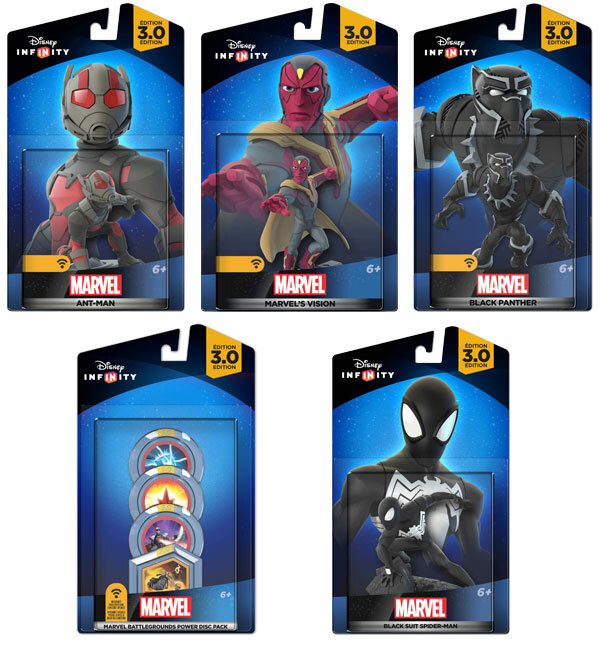 Marvel Battlegrounds was first teased back when Disney Infinity 3.0 was released and had a tentative release of 2016. It looks like we finally have confirmation on it’s release date and figures that will come out alongside it. A leak from Amazon earlier last week which has thus been removed and the product page for the Play Set on B&H photo had surfaced, been taken down and resurfaced. They all have the same dates which puts Marvel Battlegrounds to release on March 15th 2016. The characters and power discs for this play set that will sell alongside it had also been revealed. 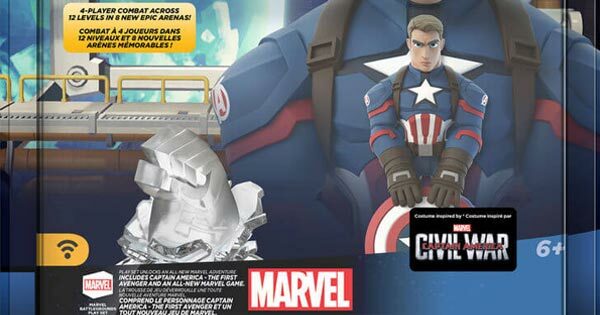 The play set includes only one figure which is Captain America from the Civil War movie set to release in May, Vision, Black Panther, Ant Man and Black Suit Spider Man. All the characters are circulating the latest Captain America movie release but it’s also noteworthy that this will be the first play set that doesn’t include a female figure let alone a second charcater all together. It seems the play set will retail for $29.99 which is $5 cheaper then any others at msrp. Do you think the play set with one figure at this price is worth it? We’ll give you more info on this and if more is announced in future updates.